Billions upon billions of attached animals like barnacles, mussels and oysters owe their very lives to the sweep of the tides for the tides bring food which they cannot go in search for. But the most remarkable thing about some of these creatures that live between the tides is their time of spawning. It is adapted to fit in with the phases of the moon and the stages of the tide. However, the problem of breaking waves that need not be faced by inhabitants of the open ocean who can sink into deep water to avoid rough seas is a very real problem for an animal or plant on shore that has no such means of escape. 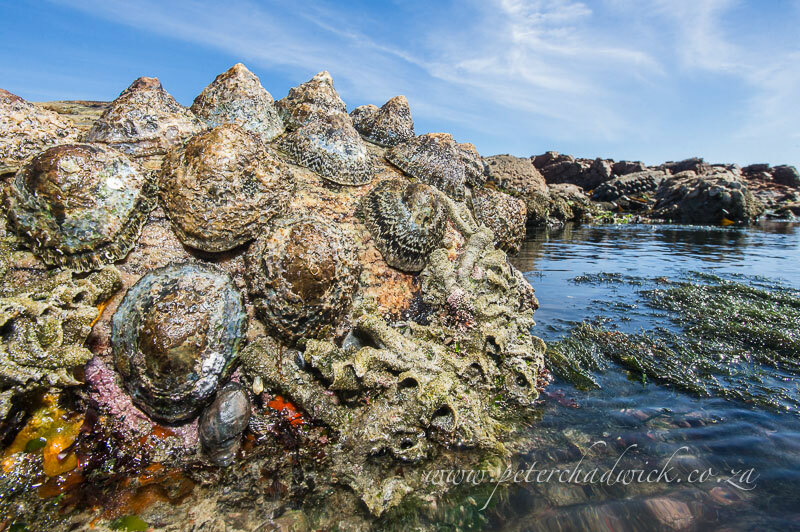 Barnacles, limpets and rock periwinkles are perhaps the best examples of successful inhabitants of the surf zone. The barnacle has two advantages that allow it to succeed where almost all other life fails to survive. Its low conical shape deflects the force of the waves and sends the water rolling off harmlessly. The whole base of the cone is fixed to the rock with natural cement of extraordinary strength and to remove it one has to use a sharp bladed knife. These twin dangers of the surf zone –the threat of being washed away and of being crushed- have little reality for the barnacle. Yet is existence in such a place is nothing but miraculous it we remember that it was not the adult creature, whose shape and firmly cemented base, are precise adaptations to the surf, that gained a foothold here, it was the larva. In the turbulence of heavy seas, the delicate larva had to choose its spot on the wave-washed rocks to settle here and somehow not being washed away during those critical hours of transformation from larva to adult form. This time in his lifecycle while the cement was extruded and hardened and the shell plates grew up about the soft body. To accomplish all this in the heavy surf is far more difficult than is required of the spore of a rockweed; yet barnacles can colonise exposed rocks where the weeds are unable to gain a footing.